Oral health is of paramount importance in the body since the state of your mouth and teeth also affects other areas like the digestive system, respiratory and endocrine system. 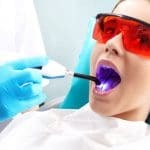 Visiting a dentist Santa Clarita, California has a lot of benefits that can help maintain oral health and prevent gum disease and tooth decay. 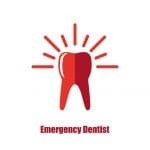 Probably the most common dental procedure after teeth whitening, dental fillings and bonding are performed to repair cracked, chipped or decayed teeth. 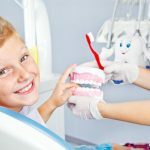 Bonding is the simpler of the two, and as the name suggests, a composite resin material that resembles the teeth shade is bonded to the teeth surface. The process takes a short time, usually one visit and is effective in repairing chipped and cracked teeth. 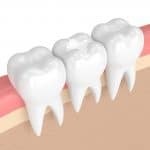 Dental fillings, on the other hand, are required when the structural damage is greater, often a result of tooth decay. After removing the decayed or damaged enamel, the dentist Santa Clarita will fill the cavity with either composite resin or metal amalgams. Dental fillings typically take one visit and are very common due to the numerous cases of tooth decay. Root canal procedures are also fairly common and are performed to save an infected tooth from being extracted. Inside the tooth, there is a mass of nerve endings and blood vessels called the tooth pulp. The tooth pulp can be infected as a result of gum disease or tooth decay-causing pain and tooth sensitivity. Another symptom of an infected tooth pulp is pus coming from the gum. A root canal involves removing the infected pulp under anesthesia and afterward, the hollow cavity is filled. Smile Care Valencia dentists will only perform a tooth extraction when the tooth can’t be salvaged. 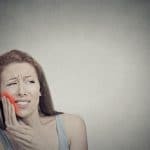 It is also performed under anesthesia whereby the dentist rocks the tooth back and forth using special forceps to weaken the ligament holding it. Once loose, the tooth is pulled out, and a denture or bridge can be added. All three procedures are used to fill gaps from missing teeth but are different in terms of placement. Dentures come in permanent and temporary designs and are typically made from composite resin or porcelain. They don’t last as long as other alternatives and can slip off when eating or speaking. Dental bridges are a series of crowns referred to as pontics. The pontic is bonded to an adjacent tooth using a strong adhesive by the dentist Santa Clarita for stability. Implants are more effective than bridges and dentures at replacing missing teeth. This is because the implant is fused with the jaw bone for firm anchorage and doesn’t interfere with adjacent teeth like bridges. 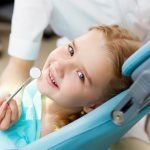 Is there a practice of sedation dentistry in Santa Clarita?